ICIS has recently expanded its Titanium Dioxide market coverage, and now provides price reporting and analysis for countries within the CIS region. 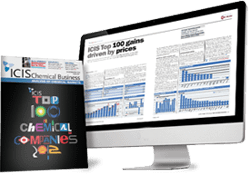 Using ‘on the ground’ experts, ICIS Titanium Dioxide coverage provides independent, trusted price assessments and regional market commentary, enabling you to track buyer behaviour and make evidence-based trading decisions. 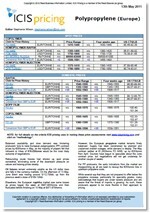 Assess CPT import figures and negotiate using the latest market prices. Track CIS trade and price levels to maximise trading opportunities. Identify trade patterns and arbitrage opportunities with Asia and Europe. 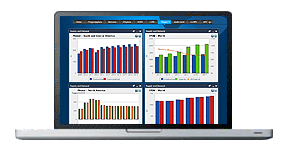 Assess supply and demand with monthly pricing and trade information. Monitor economic and geo-political factors affecting the CIS region. The consumption of TiO2 in the CIS has been growing steadily, with imports totalling around 90,000 tonnes in 2013. Ukraine is traditionally a net exporter, while Russia and other FSU countries are importers. Russian and Belarusian consumers source the material in Ukraine, the US, EU and China, while Kazakhstan imports mostly from the EU. At the same time, the market for TiO2 in the CIS countries is quite fragmented. In Russia alone there are several hundred consumers of TiO2; in 2013, 243 companies imported TiO2 in Russia. These are producers of paints and coatings, converters of PVC, PS and other polymers. In the mainstream market, price spread between different TiO2 grades is rather wide, reaching over a thousand US dollars per tonne, depending on producer and grade. The market has been growing steadily, mainly driven by the construction sector, but the prospects for increasing demand are now rather uncertain. Nevertheless, the market has a degree of complexity which merits a professional report to help its participants. We offer the following regional Titanium dioxide analysis and news coverage to keep you informed of factors and developments affecting prices in the CIS Titanium dioxide marketplace. Titanium Dioxide is a pigment marketed in rutile or anatase crystalline forms. Rutile grade is the main driver, with 90% of the market compared with 10% for anatase grade. Titanium dioxide (TiO2) occurs as odourless, colourless to white crystalline powder in two forms, anatase and rutile. Titanium dioxide is not flammable, explosive and gives no reason to fire risks. The main use of TiO2 is as a white powder pigment used in products such as paints, coatings, plastics, paper, inks, fibres, food and cosmetics. Titanium dioxide also has good ultraviolet (UV) light resistance properties and is seeing growing demand in photocatalysts. It is used in products such as paints and coatings, including glazes and enamels, plastics, paper, inks, fibres, foods, pharmaceuticals and cosmetics. In particular, high performance grades of TiO2 are finding a growing market in the cosmetics sector and most toothpastes use TiO2.